Looking For the Best Travel and Tour Companies? When it comes to creating a truly special holiday, especially if you’re vacationing in an off the grid location, using one of the best travel and tour companies can ensure your experience goes exactly as you planned. Don’t just take our word for it, Travel and Leisure Magazine agrees! They named ATJ No. 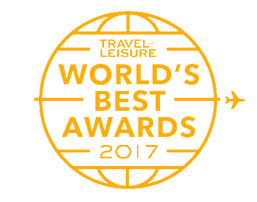 7 in the 10 Best Tour Operator Category for the 2017 World’s Best Awards. It was quite an honor to be included among a group that focuses on the best travel and tour companies. We take great honor in planning down to the finest details to curate unparalleled experiences that last a lifetime. What counts the most about these awards at Travel and Leisure Magazine? They are in part reader generated, because they ask readers to rate tour operators, staff & guides, itineraries & destinations, activities, accommodations, food, and overall value, before compiling their list. This means our clients also agree. 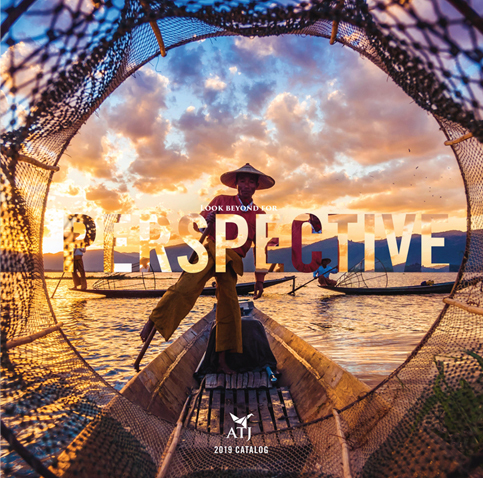 We can arrange all types of travel tours at ATJ, from personal custom adventures to small group travel luxury tours, including these upcoming luxury Asia tours. Note, our small group trips are the sort that we like to take--authentic, experiential and immersive. Accompanied by no more than 18 fellow travelers and an expert Tour Leader, it is an effortless way to explore a parallel universe. For a small group Asia trip that encompasses more than one country, take a look at this Himalayan adventure. This region, especially Bhutan, is still off the mainstream tourist grid, which means you should explore now, before the masses join. Our adventure takes you around the amazing countries of Tibet, Nepal and Bhutan, allowing you to meet monks in remote monasteries; join locals in sacred temple kora (circumambulation); experience traditional village life; wander medieval towns housing preserved temples and visit a fertility temple where hopeful couples make offerings, all under the guidance of a Himalayan culture expert. This trip departs in Sep 12. To focus on one country, check out our Mynamar tour. It departs Nov. 13, and takes small groups deep into the heart of Burma, which also remains well off the mainstream tourist radar. It’s a land of contrasts whose gentle, gracious people hold fast to their ancient traditions while embracing the zeitgeist of optimistic modernity, despite having endured years of oppression. Today, a visit offers adventurous travelers a whole new Southeast Asia experience, and on our trip you will visit friendly tribal villages and rarely explored temples, pagodas and archaeological sites including the mysterious 15th-century ruins of Mrauk U. The trip also includes the opportunity to meet tribal people in their villages, and interact via your translator, as well as shop for weaving and textiles along side locals in traditional markets. Accommodation is in boutique hotels and culturally authentic lodges. Another upcoming small group Asia tour includes our Passage to Indochina trip led by world-class Tour Leader Suzanne Noakes. It takes you on an unforgettable journey through old French Indochina—Vietnam, Laos and Cambodia. These beautiful countries are culturally linked yet remarkably distinct, offering unsurpassed cultural diversity and natural beauty. On this trip you’ll gain insight into the cultural nuances of the region through the superb interpretation Noakes offers, along with her innate ability to facilitate meaningful interactions between friendly locals and foreigners. On this itinerary, you will visit the region’s most important cities such as Luang Prabang, Hanoi, and Saigon, as well as hidden treasures like Hué, Hoi An and Cu Chi. The journey culminates in an exploration of Angkor in Cambodia—on par with the pyramids of Egypt as a testament to the greatness of a continent’s lost empire. Throughout the journey, you’ll also enjoy fascinating experiences such as a traditional baci welcome ceremony, a cruise in Ha Long Bay aboard a traditional Chinese junk and a visit to an elephant conservation area. Thank you and congratulations to all our friends who were also selected for this esteemed honor in Asia and the Pacific in their category. See the best hotels, cities and islands in Asia and the Pacific.